Splat Rebellious Colors, Ombre Dream2 Colors Purple Stars and Blue Dreams. Everything you need in one complete ombre kit. 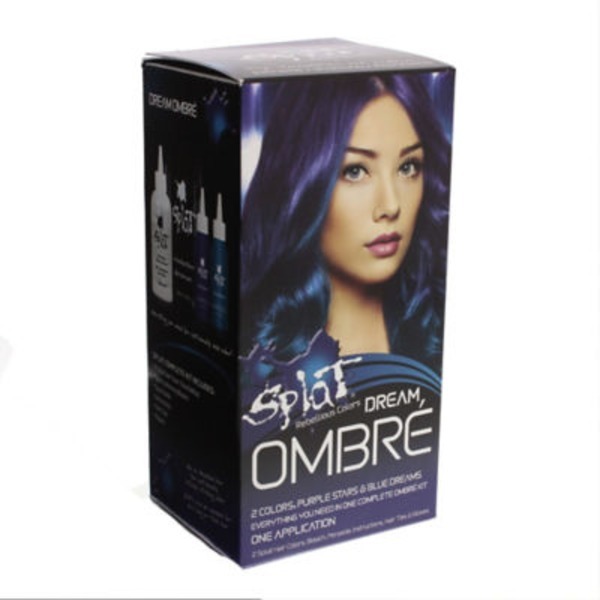 One Application.Kit includes:2 Splat Hair Colors, Bleach, Peroxide, Instructions, Hair Ties and Gloves.